First three parts of this article series help you to support the BlackBerry Passport from SDK / API 10.2. 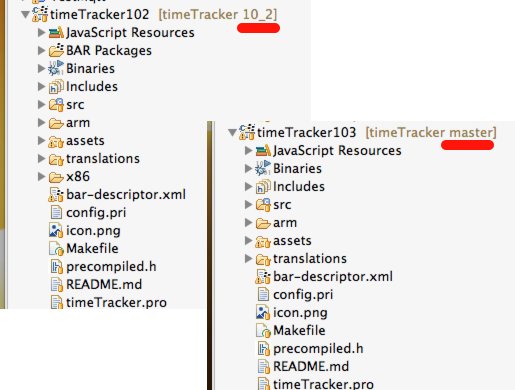 Now we’ll go one step further and switch over to 10.3 API. This is always a great challenge HowTo manage different APIs – doesn’t matter if you’re developing for Android, iOS or BlackBerry 10 – esp. 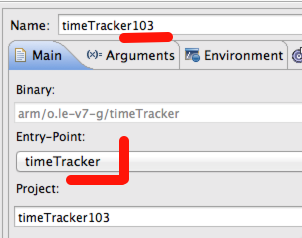 if you’re knowing that you have to maintain a project for different API a longer time. This month (September 2014) only BlackBerry Passport will run OS 10.3.0 – at the end of this year (November 2014) OS 10.3.1 is expected and will be available for all devices in the market. If it will take around 3 months to be available in most countries – so there will be a minimum timeframe of 6 – 9 months where we have to support 10.2 and 10.3. Normaly I’m waiting some time before switching to the next API level, but this time OS 10.3 is so different from 10.2 and gives us more ways to provide good looking apps, I will bring all my apps to 10.3 very soon. There are many ways to manage different API levels. I’m not a friend of any pre-processors and dealing with if 10.2 then this – if 10.3 then this. One year ago I wrote an article HowTo manage different API levels using Git branches and cherry-picking. 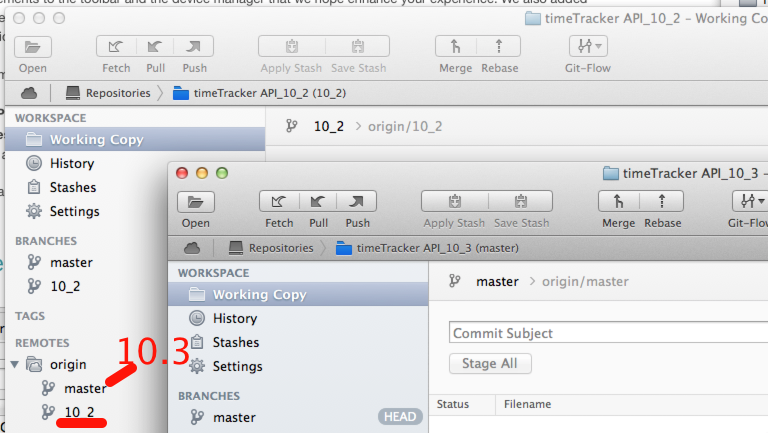 So I created a Branch for current 10.2 Development where Master is used for newest API Level (10.3). Now to start with 10.3 specific things the easiest one is to use some branding color. 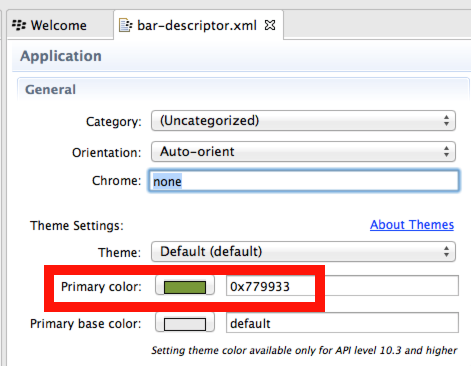 Cascades documentation explains how colors are working in 10.3 – let’s define a Primary Color in your bar-descriptor.xml. 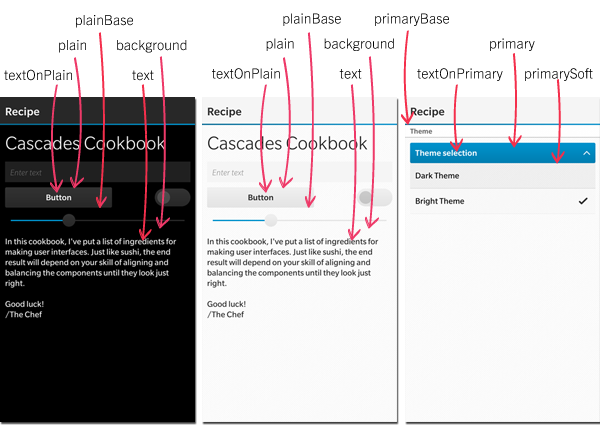 The documentation provides some sample colors good looking on bright and dark themes. You should always test your color scheme on dark and bright ! 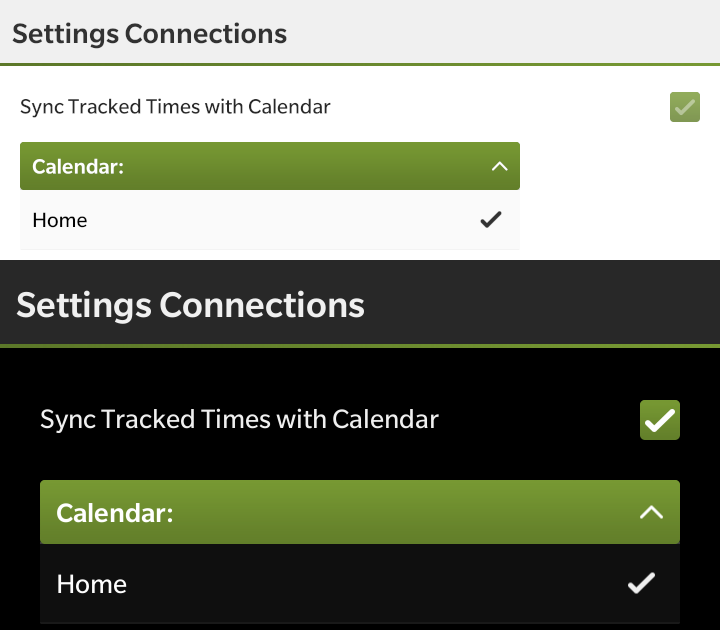 Another great 10.3 feature: dynamic switching of Themes. In 10.2 you – as the developer – have to decide if you’re using the bright or dark theme or the default one. Default theme on OLED displays is dark – on other displays is bright, per ex. BlackBerry Passport default theme is bright and Z30 default theme is dark. There’s one golden rule: Using a dark theme is always OK – bright theme should not be used on AMOLED displays, because dark theme is optimized for better battery usage. You should warn the user if setting a bright theme on OLED. I’m always supporting both themes. Sometimes it wasn’t easy to set Font colors and backgrounds – now using UiPalette you’ll always use the right one. 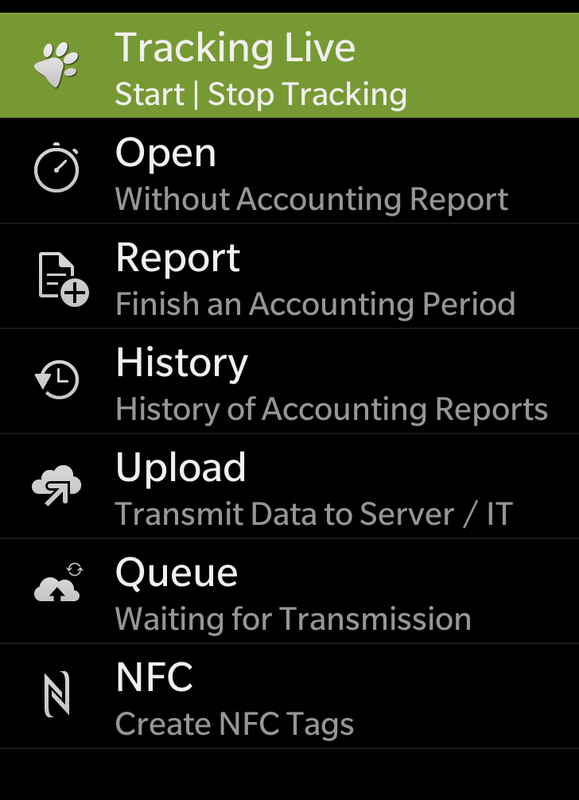 The Signature ActionItem will always be in the middle of your ActionBar and use your Color (see above) as background. You can also set the color by yourself, but it’s recommend to use the default one. 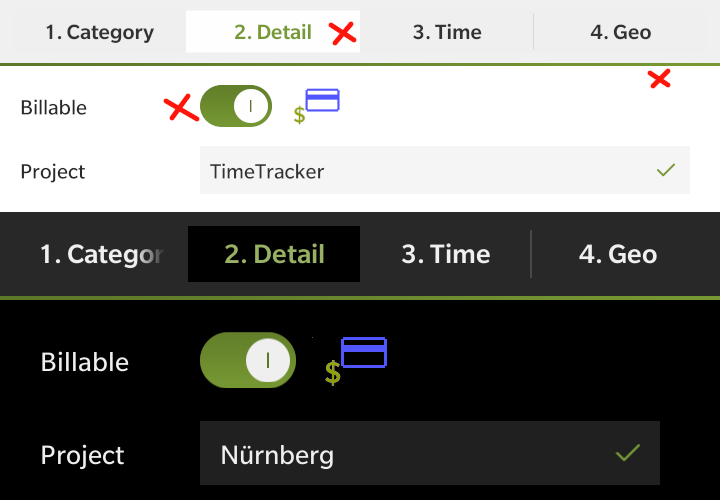 TimeTracker App will give the user the freedom to change between bright or dark Theme, but UIPalette will be static. There’s also a new way to hide most part of your ActionBar – only the overflow menu and Tabs are visible. 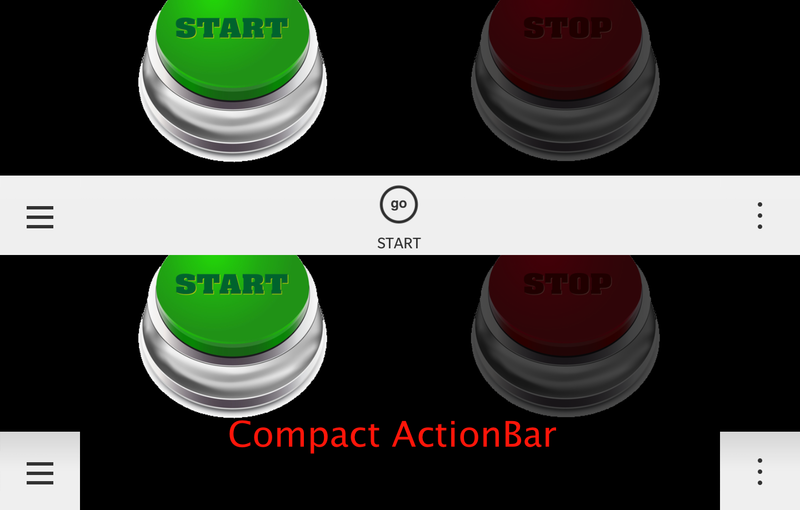 Taping on START Button, there will follow three Pages you normally only tap on the Action or type ‘g’ for GO on your Keyboard. Have fun with 10.3 and stay tuned … this was only the beginning – there will be more in this series to learn about the new features.